My wife is the CEO of a software company. Earlier in her career she was an automotive executive and has held senior positions in several technology-based businesses. She is, as she realized to her delight not long ago, one of those much sought for rarities: a woman with a successful STEM career. That said, she studied languages at university. That's right, languages, not science, technology, engineering or math, yet here she is today running a technology company. Science, technology, engineering, and math, or STEM as they are collectively called in the contemporary lexicon, has become an emphasis for our schools both public and private. The idea is that those legendary "jobs of tomorrow" will require STEM skills and so we are feverishly "educating" our children to be prepared for their future roles in the economy. Setting aside the hubris embodied in the assumption that anyone can predict what jobs our preschoolers will grow up to hold, science, technology, engineering and math are important aspects of what it means to be human and fully worthy of exploration whether or not one is going to one day require specific employment skills. These boys are swinging while simultaneously trying to avoid being hit by the swinging tire, a game that involves science, technology, engineering, and math, among other things. Science, after all, is the grown-up word for play. As N.V. Scarfe wrote while discussing Einstein, "The highest form of research is essentially play." I know a number of scientists and whenever they are discussing their work, they describe it as play: "I was playing with the data and guess what I discovered," or, "I played with the variables and you won't believe what I found." Conversely, the highest form of play is essentially science as children ask and answer their own questions with both rigor and joy without the soul-sucking artifice of rote. Working on math skills at the art easel. Technology, which is the application of scientific knowledge for practical purposes, is how children typically extend their play, building upon their discoveries to further explore their world. Engineering is the process by which children create their technologies, be they dams intended to hold back flowing water or springboards designed for jumping into it. 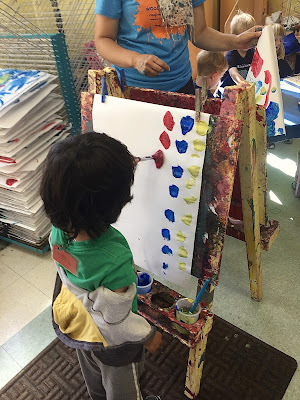 And math is something humans have to be taught to hate because, after all, it is the process of learning increasingly complex and wonderful ways to do things that give us great pleasure as human animals: patterning, classifying, and sorting. When we boil it down, that's the entirety of math, which is ultimately the foundation of analytical thinking. 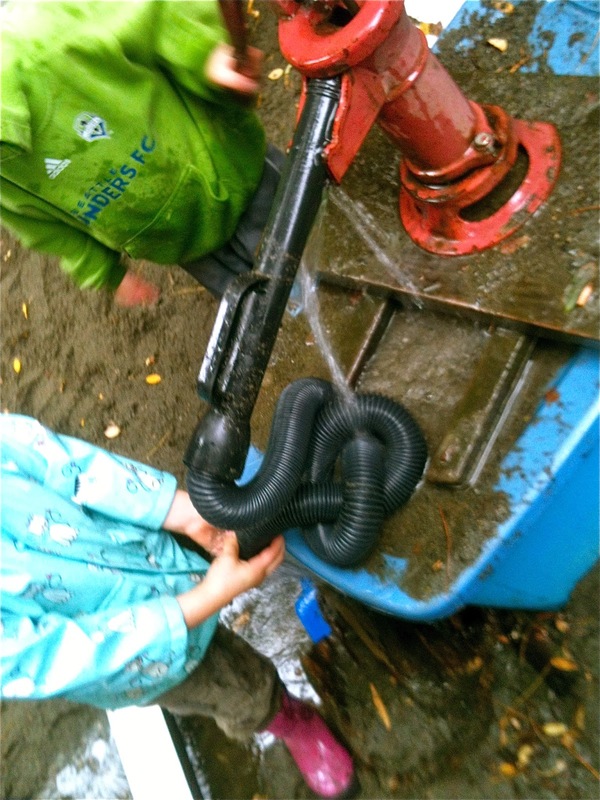 Constructive play forms the foundation of engineering knowledge. 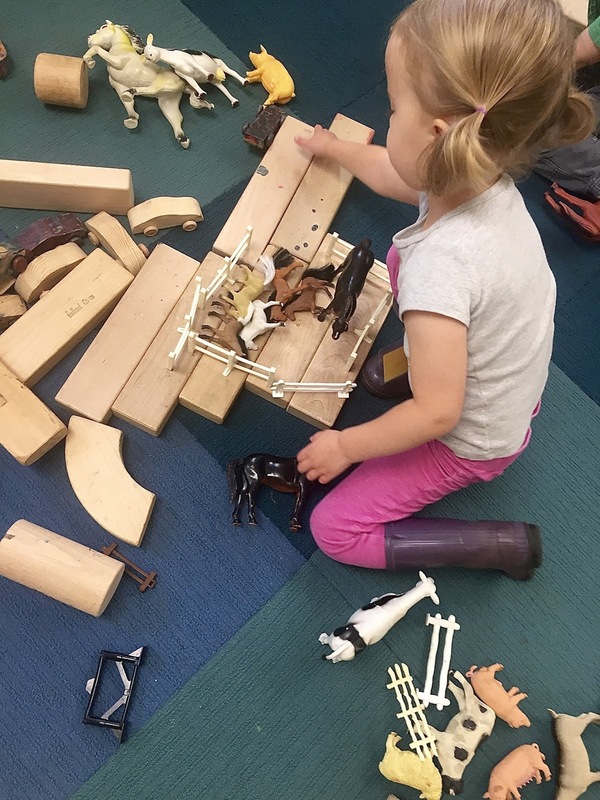 In this case, she is also exploring set theory, including the horses in one set while relegating the other types of animals to another. The tragedy of STEM education in the early years, however, is that too many practitioners have concluded that we must engage in extraordinary measures to teach it, that without lectures, worksheets, and drill-and-kill testing it simply won't happen, which is, in the lexicon of a generation long before mine, pure hogwash. 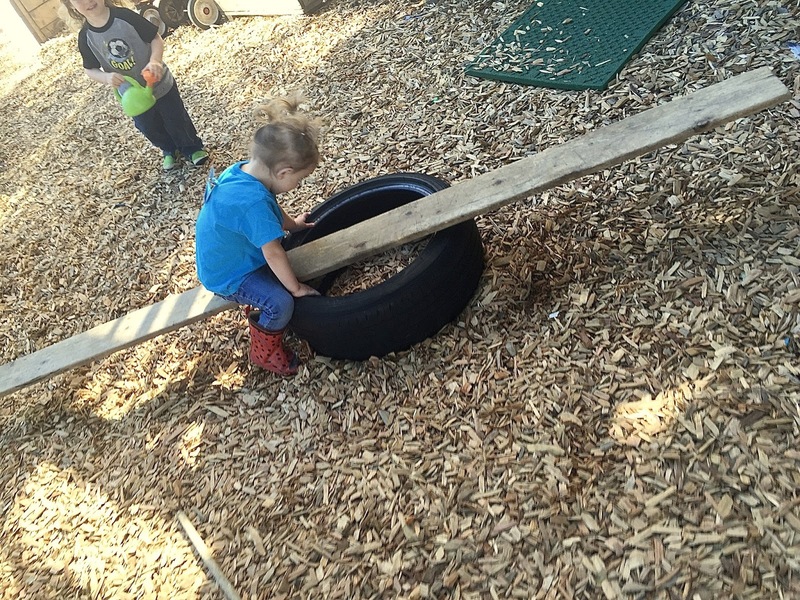 This two-year-old is exploring the technology of a lever or a balance scale, striving to find a balance point. STEM education is not a complicated thing, children are already doing it when we leave them alone to pursue their own interests in a lovely, varied, and stimulating environment. We can, however, destroy their love of science, technology, engineering and math by turning it into the sort of rote learning that involves authoritarian adults dictating what, how, and by when particular knowledge is to be acquired or skills learned. 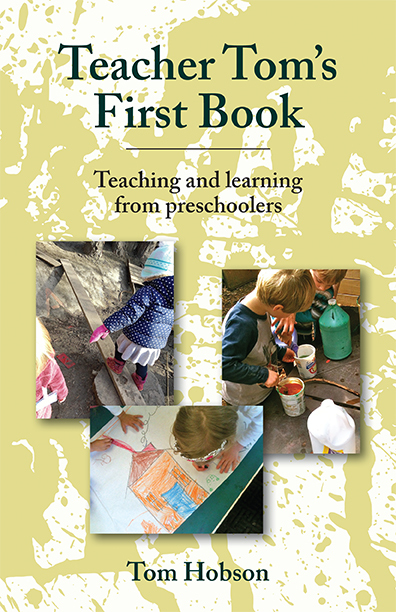 A good STEM education, at least in the early years, is a play-based one; one that takes advantage of a child's natural curiosity; that gives free rein to their boundless capacity for inventiveness; and that understands that vocational training is but a small part of what an education should be about. These hydraulic engineers spend their days working together to manage the flow of water. 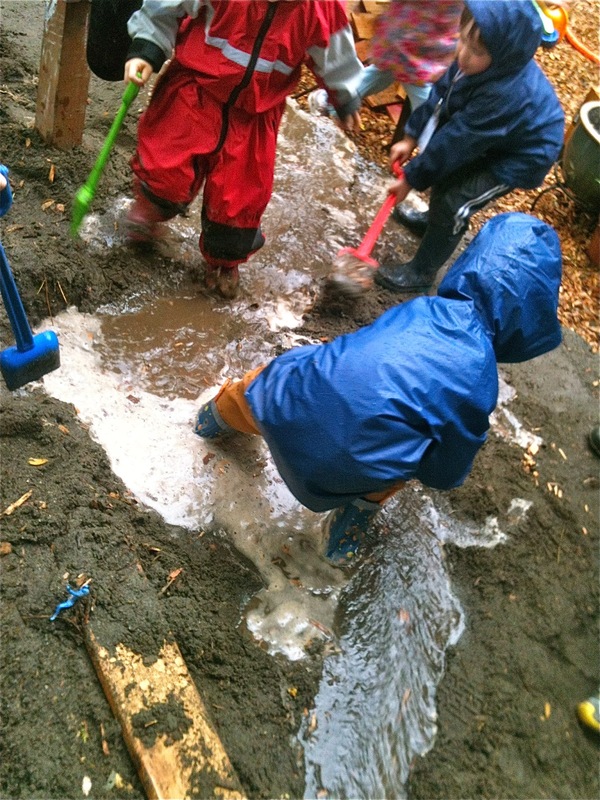 When we step back and really observe children in their "natural habitat," which is while playing, we can see the STEM learning, although it takes some practice because it's intertwined with the other important things they're working on like social-emotional skills, literacy, and the capacity for working with others, which is, at bottom, the most important "job" skill of all. Indeed, while we are only guessing at what STEM skills our preschoolers are going to need in the future, we do know that getting along with our fellow humans is the real secret to future employment, not to mention happiness. What happens when I stick this in there? When my wife was a preschooler, no one envisioned computers on every desktop, let alone on every laptop. The internet hadn't even made an appearance in science fiction novels. And we all carried dimes in our pockets just in case we needed to make a call on a public phone. Today she is the CEO of a software company by way of the automotive industry by way of the jobs that her study of languages made available to her when she stepped into the workforce. The problem with predicting what specific "job" skills our children will need in the future is that we can only guess, because it's not us, but the children themselves who will invent those jobs, just as my wife has invented her own STEM career. That said, when we allow children to explore their world through play, we see that they are already scientists, technologist, engineers, and mathematicians. We don't create them, but rather allow the time and space in which those natural drives can flourish, and that's how we ultimately insure that our children not only have the narrow skills that may or may not be necessary for those jobs of tomorrow, but also for the broader purpose of living a good life.